TEN to refresh logo, ELEVEN, ONE tipped for new names. 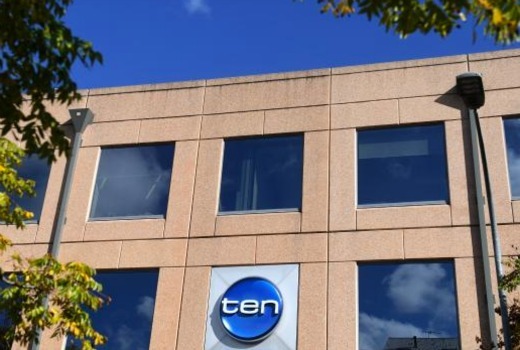 TEN is planning a brand refresh, including updated corporate logo and “better defined digital channels” according to reports today. TEN is also expected to shift back to its “network for under 50s” with TEN All Access, a localised version of streaming site CBS All Access, to be launched later in 2018. The latter was one of the key interests the US giant had behind its acquisition of the network -it isn’t yet clear how it affects tenplay. The announcements are expects at its annual Upfronts on October 31. What incompetent moron thought up, then approved ‘re-branding’ 11 as ’10 Peach’. Is this American?? Are they all that effeminate?? As a male, I enjoy watching Frasier and Becker on this channel, and neither show gives me the vibe that I am delving into my feminine side. You utterly incompetent American new owners! How stupid to be sold this crock by the marketing agency you hired. I would rather buy these two shows on DVD then continually get affronted by the fact that I need to tune into ‘Peach’. Maybe you should brand every 10 channel as Lemon because this is a real lemon of a move. Do you really think your new demographic of 12 to 16 year old teenyboppers would watch 80s and 90s TV, or even comprehend the wit of Frasier. So out of touch! The ELEVEN logo is too big, the 11 watermark appears bottom right hand side of screen & should be smaller size. The TEN logo is fine. If CBS do change ONE & 11 hope the new names are catchy. It looks like those heavy rumours are backed up by the .com.au domain names for 10peach, tenpeach, 10boss and tenboss all being reserved by 10’s IT team. As other have stated, the names seem awful. Peach is cringey, and if aimed at women will be seen as patronising. Boss is so similar to Mate it dilutes whatever cut-through they may have been hoping for, while also seeming relatively gendered. The inevitable hot takes on the names will annoy everyone. Unless the hype will instead be about them using emoji? That may explain the names seeming odd? My TV Remote doesn’t have a button marked 7Mate or 9Gem, I select the channel from the EPG. Improve the programs on the EPG and you’ll get my click. It might be tempting to add “CBS” to the watermark but nobody cares and it’s a source of annoyance to many viewers. Annoy some more…why not! After much deliberation and market research it was decided to paint all Sydney trains blue. Commuters still complained about the service and looked for alternatives.